The superhero genre was already incredibly popular in the early 2000s when Christopher Nolan signed on to direct Batman Begins for Warner Bros. No one knew, at the time, that the filmmaker's unique origin story would change the genre and movies as a whole, nearly 10 years later. During an extensive interview with The Hollywood Reporter, Christopher Nolan spoke about how he was first approached by Warner Bros. to take on this project, which was a few years before the term "reboot" was even introduced into the Hollywood lexicon. "Yeah. It came to me in a very interesting way, which was my agent, Dan Aloni, called and said, 'It seems unlikely you'd be interested in this, but Warners is sort of casting around for what they would do with Batman.' It had reached the end of its last sort of life, if you'd like. And at the time, nobody used the term 'reboot' - that didn't exist - so it was really a question of, 'What would you do with this?' I said, 'Well, actually, that is something I'm interested in,' because one of the great films that I am very influenced by that we haven't talked about was Richard Donner's Superman - 1978, that came out. It made a huge impression on me. I can remember the trailers for it, I can remember about Superman the movie, all of that. And so I was able to get in the studio and say, 'Well, that's what I would do with it.' I don't even know who was first banging around the term "reboot" or whatever, but it was after Batman Begins, so we didn't have any kind of reference for that idea of kind of resetting a franchise. It was more a thing of, 'Nobody's ever made this origin story in this way and treated it as a piece of action filmmaking, a sort of contemporary action blockbuster, grounded in heightened realism, grounded in the degree of realism that we expected at the time from, you know, our action movies, Jerry Bruckheimer action movies and things, that would have realistic textures, you know?" 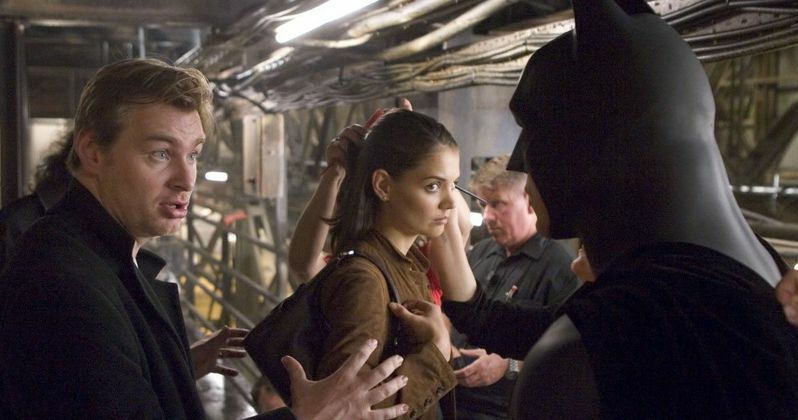 While Batman Begins helped spawn a new era of superhero movies, it was revealed in October that Christopher Nolan is not involved in future DC Comics movies. One filmmaker, Kingsman: The Secret Service's Matthew Vaughn, revealed in a new interview that he believes audiences don't want to see the darker superhero movies that Christopher Nolan made.